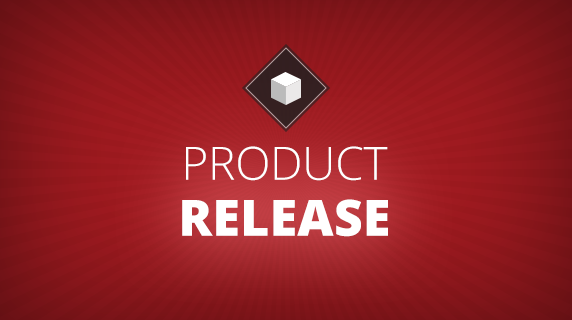 Check out the release notes for the full list of changes made in version 4.13.0. 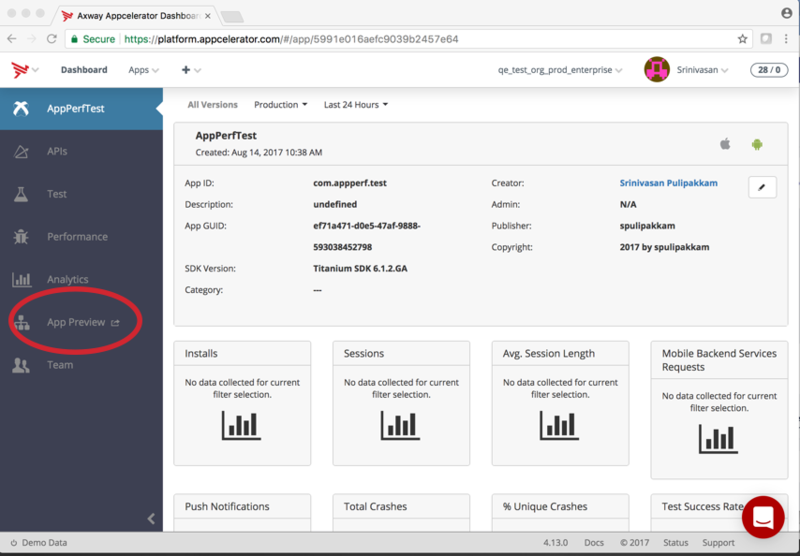 App Preview, which is available for Pro and Enterprise organizations, provides the ability to distribute different versions of your application to testers and stakeholders reviewing the app. 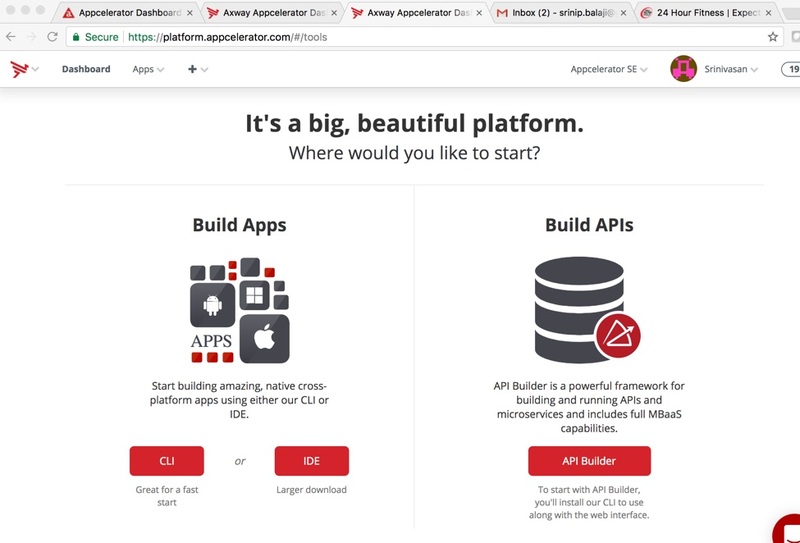 Previously, this capability was accessible only from Axway Appcelerator Studio. Now, App Preview functionality is also available via the dashboard. When you navigate into your mobile application menu options in the dashboard, you can find the App Preview menu in the left hand nav as shown below. 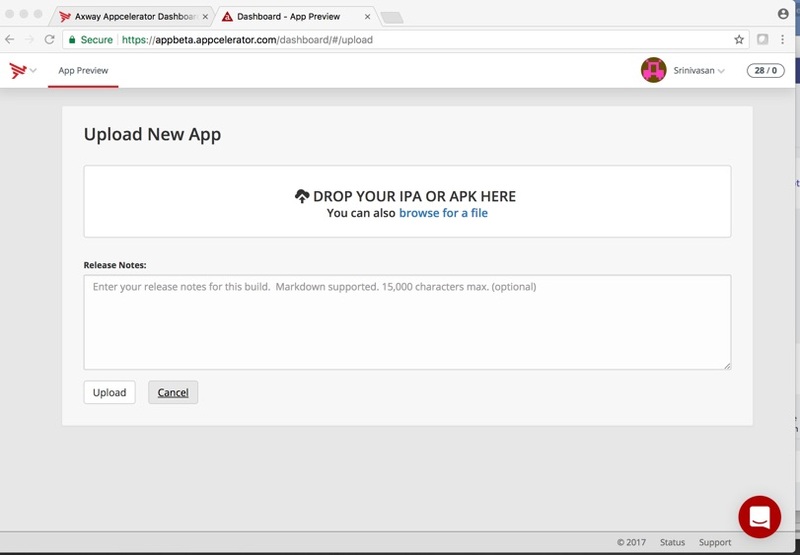 The App Preview menu opens an app upload flow that guides you to upload the app and make it available to a selected list of users. You can easily invite testers to try the beta or test version of the app. 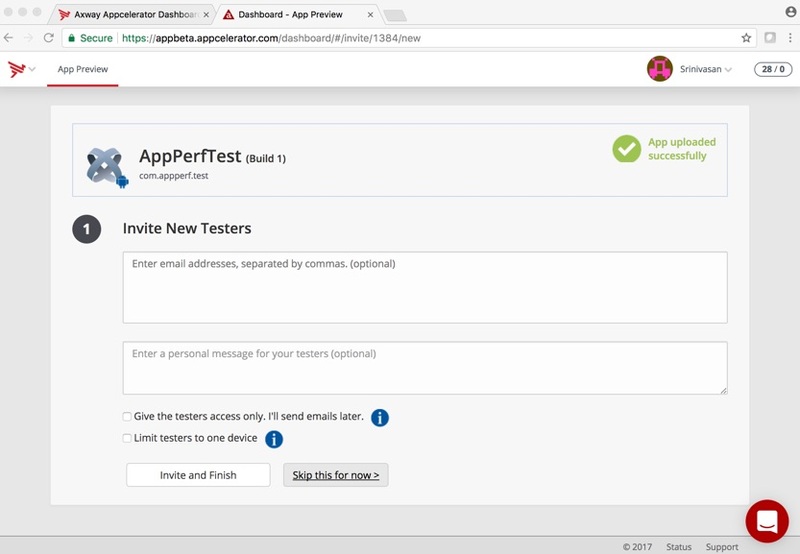 After the app is uploaded, the App Preview feature also provides an anonymous download link for the app, which can be shared with multiple users through email. 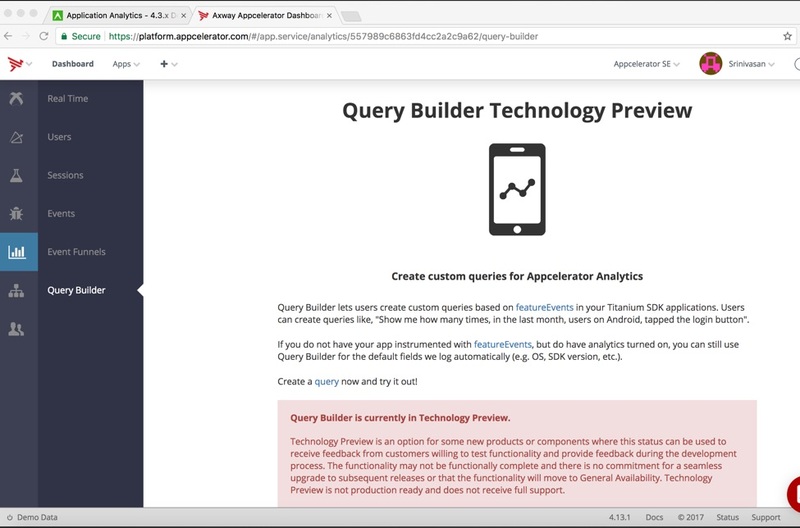 Query Builder, which is available to Pro and Enterprise organizations, is available in technology preview mode through the dashboard. Features are introduced in technology preview mode to gather feedback during the development process. Thus, features in technology preview mode are subject to changes, and support is not available for them. Query Builder is accessible through the Analytics menu in the Dashboard as shown above. To create a query, click on the + icon and select the “Build a Query” menu option. 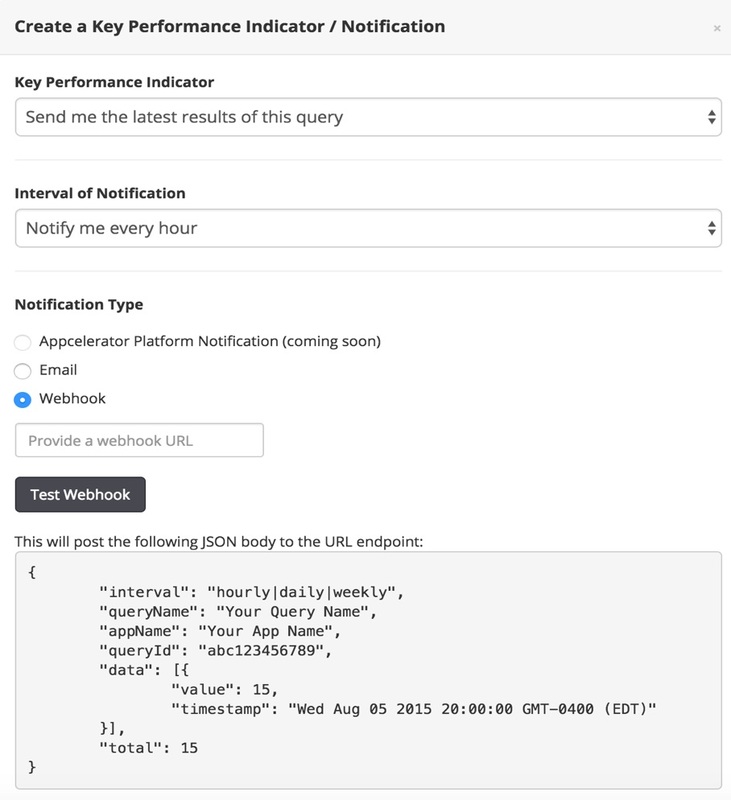 You should launch the query builder from the app against which you want the queries to run. 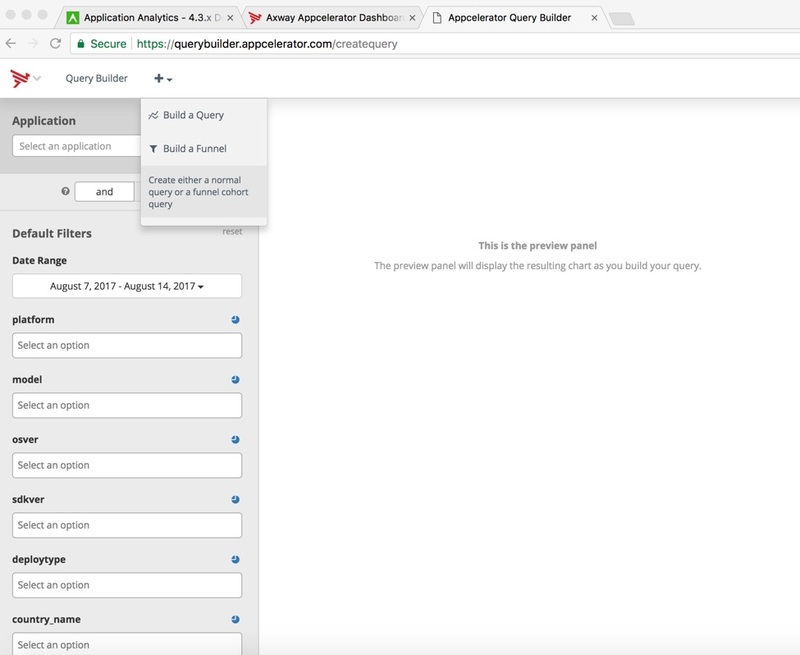 The Query Builder screen provides the option to select an app, and choose the feature events defined for the app. 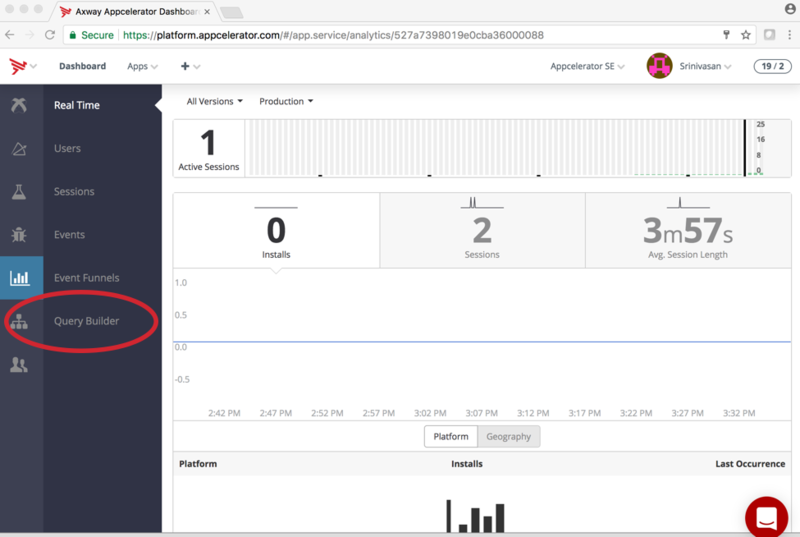 By default, even when feature events are not set up for an app, it is possible to run queries against default filters such as OS platforms, OS versions, etc. The sample chart below displays the results of a query that tracks the count of the app usage in the iOS platform during the past 7 days. Notifications can be set up for saved queries and sent via email. Or, the query results can be set up to be sent to a url for display in a web page. 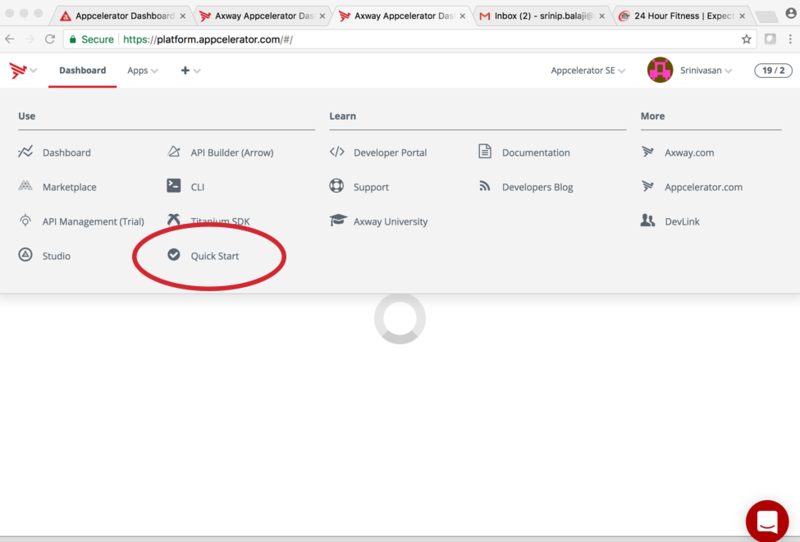 The main navigation menu (dropdown at top left corner) now provides a Quick Start option that provides users with the relevant downloads plus instructions to get started with building apps or building APIs with the Axway Appcelerator Mobile solution.